This is a follow-up post to this post and again, if you don't have Easy Guide to Sewing Linings by Connie Long, you need it and you should buy the e-book right now! Today, I wanted to share my online resources plus a few tips on what kinds of fabrics can work as a lining. Sometimes ideas from others make a big difference in how we view the usefulness of a fabric. So here goes. First let's talk lining fabrics and what kinds of fabrics work as linings that aren't labeled "linings." So there are the typical "lining" fabrics that you can find at a fabric store. They are usually labeled "linings" or a sales associate will most likely point you in that direction when you say you're looking for a lining. You probably already know what I'm talking about too. Usually the "lining" fabrics are all solid colors, many are polyester or acetate and they all have that "slippery" quality. But let's say you're pretty much tired of these low-grade low-quality, unbreathable crummy linings and you've decided to expand your search for something else. What do you do? Well, there is a great lining that is called bemberg rayon lining or ambiance. It comes in a variety of solid colors, its breathable, it high quality and lasts and feels wonderful against your skin. I use bemberg for most of my lined garments. I have easy access to this fabric and quite frankly its the lowest cost/highest quality lining "lining" fabric out there. But wait, there's more! Let me acquaint you with my favorite luxury lining - silk charmeuse. Yes, you can use silk charmeuse as a lining. I find it very interesting that people get so turned off by this idea or that they laugh in my face because yes, the price is a little astronomical, but I'm telling you, you have not lived until you have a garment that is lined is silk charmeuse. There is a very valid reason that couturiers use this fabric as a lining. Now don't get me wrong. I'm not saying that you should line everything in silk charmeuse, but when the lining really counts, silk charmeuse is the ticket. Plus you can get printed silk charmeuse for extra special garments. And it is worth every. single. cent. There are other types of silks that work great as linings as well, including crepe de chine and china silk. 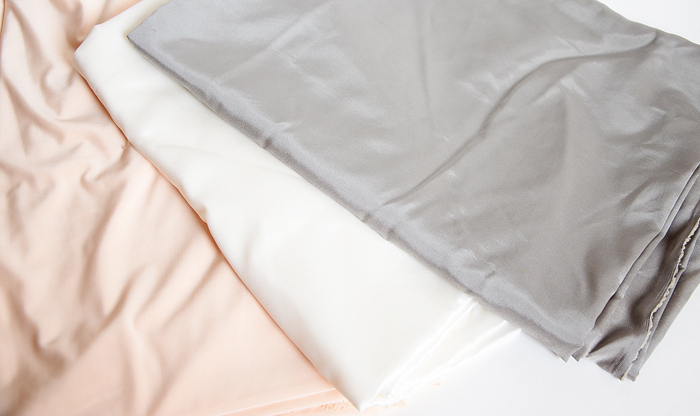 Crepe de chine is a crepe silk that looks like the matte side of silk charmeuse. It works great as a lining in jackets, I think, but its not as slippery as a charmeuse, so keep that in mind. China silk is very very lightweight and has a plain weave to it. It's great as a lining in garments that are delicate. I've had a lot of people say that they would love to use "printed linings" more often if they could only find them. Wouldn't we all? Printed linings can be really really fun. Surprisingly, I've found some pretty high grade polyester charmeuses at Joann that would do the job of a lining quite well. 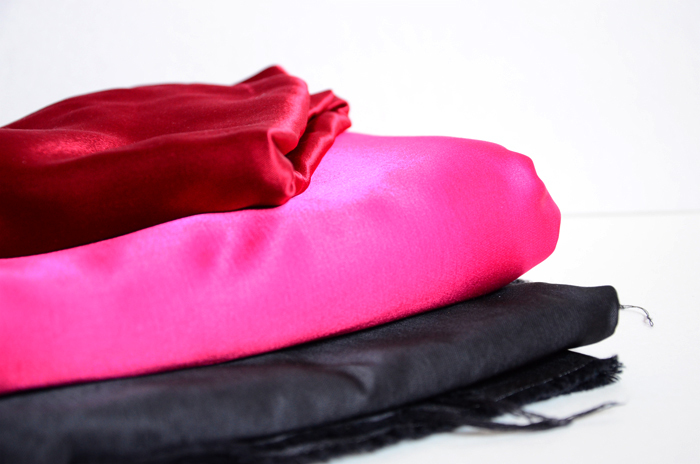 No they aren't as fabulous as actual silk, but especially in a jacket, polyesters can do really well. So keep your eyes open for polyester silky prints at your local fabric store and expect to be surprised at how much nicer they are in comparison to the actual "lining" fabrics you find there. 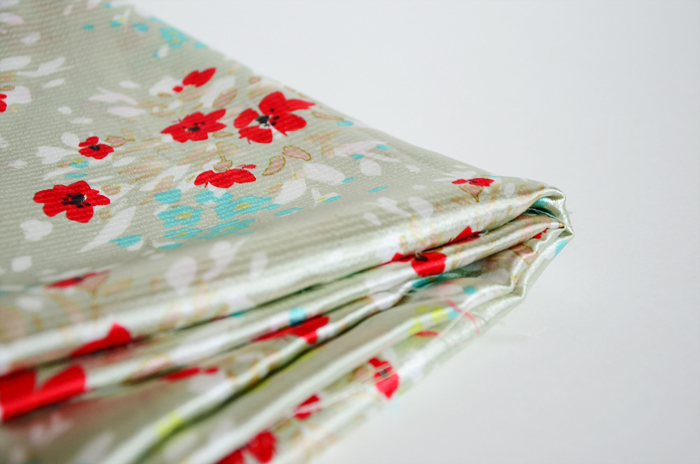 What about linings for stretch fabrics? Stretch lining can be practically impossible to find. Seriously. We carry a few a Yellow Bird Fabrics and I always tell customers about them because of their rarity. When looking at a stretch lining, there are woven stretch linings and knit linings. I have a great resource for both below. Be aware that these linings are rarely, if ever, all natural fibers. But that's OK! Stretch woven lining should have lycra (or spandex, same thing) and you can use it with stretch wovens or knits. If you need more stretch, go with a knit lining. These are like swimsuit linings - the kind that are slick and fairly opaque. 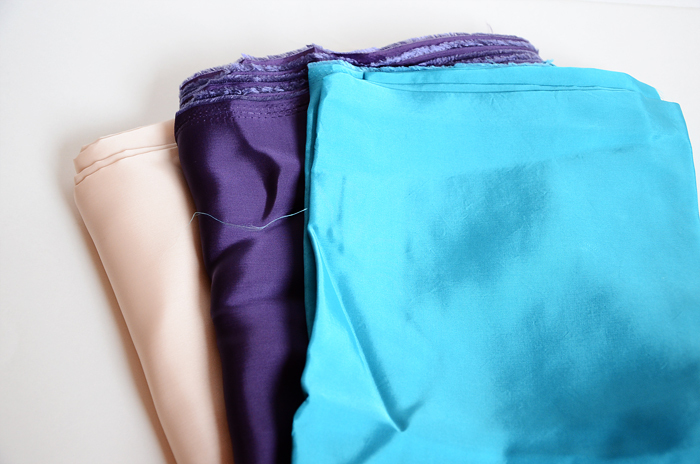 If you are wanting more of a luxury stretch lining, opt for stretch silk charmeuse. Yes, stretch silk charmeuse! It's got a little bit of lycra in it and makes a wonderful stretch lining for say something like a ponte knit jacket. Last, but not least, coat and outerwear linings. There are a few options for lining a coat. You'll want something substantial. For the money, I like rayon crepe back satin. This is a heavier weight than say, a bemberg rayon lining and you can also find linings that have flannel backings which are very nice. 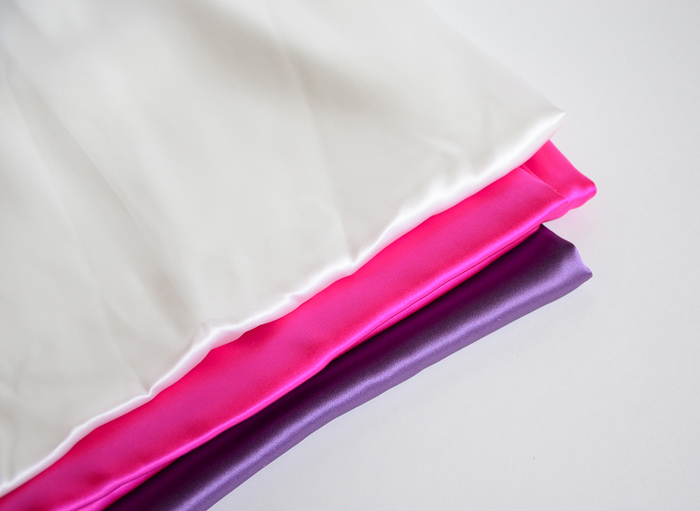 If you're looking to line something really special you can opt for silk crepe back satin which is a heavier, more substantial version of silk charmeuse. It still retains a slick surface in addition to being drapey too. I recently discovered in the town of Elizabethton, Tennessee the great Bemberg Fabric Building. Now it is a BIG abandoned place, with ghosts and everything. It is a very interesting place, and the history of the place and Elizabethton is kind of sad (pollution, big future that never came, lots of people without jobs, the war and the german relationship with the US, etc,). I'm in the process of sewing a jacket, so thank you so much for tips, it's been sooo helpful! I wonder about the washing recommendation for those lining... Any notable ones if I want to avoid dry cleaning? I love bemberg rayon! My local JoAnns carries it (in limited colors). With a 50% off coupon it's $5/yard. I think the bolt says dry clean only, but I always wash mine on cold/delicate setting and hang dry, and haven't had any problems. A great series on linings with a wonderful collection of resources. Connie's book has bee a valued member of my sewing library as well! I think I bought some pongee lining recently. I bought it to line a (distant) future pair of stretch cigarette pants. It's a pretty substantial weight for a lining, not too lightweight and not medium weight. Have you ever tried this fabric before? Bookmarked! I can never get enough lining fabrics. I live in the Philippines where it is extremely hot and muggy all year around. I never used to line anything as I didn't need the slippery lining to stop my skirts or dresses from sticking to my stockings as I never wear them here. But after watching Susan Khalje's couture sewing course on Craftsy, it occurred to me that even in the tropics lining can have very useful functions: they give more body to a fabric, they help fabrics wrinkle less and they absorb perspiration! Needles to stay I stay away from any man-made fiber in this heat, I can't get Bemberg rayon here nor can I get silk, so I now usually use thin cotton batiste to line and underline most of my dresses and skirts and love the way they feel and wear! Less wrinkles, less perspiration showing through, and even cheap fabrics look a whole lot more expensive! I love silk as a lining, and I don't mind splurging on something that I make as it almost always costs less than a comparable item from a store, and it is usually better made and fits better. I will use either a china silk or even a lightweight silk taffeta for a lining (there is nothing like a skirt lined with taffeta, it rustles as you move and sounds and feels so decadent, works best on a pencil skirt or something very fitted). For summer clothes I love a cotton batiste but it is so expensive, sometimes more so than silk, and often hard to find. very helpful! where i live i can only purchase *one* type of lining - but after reading this i've decided to hold off on making more lined garments until i am closer to all these fabrics you've talked about - thank you! Thank you so much! More clarification of such things is always appreciated. i was inspired by your jacket so much. I made a navy wool blazer (not plaid) in a tailoring class. I used a Bemberg lining. Thank you very much for listing the on-line sources! This is very helpful. 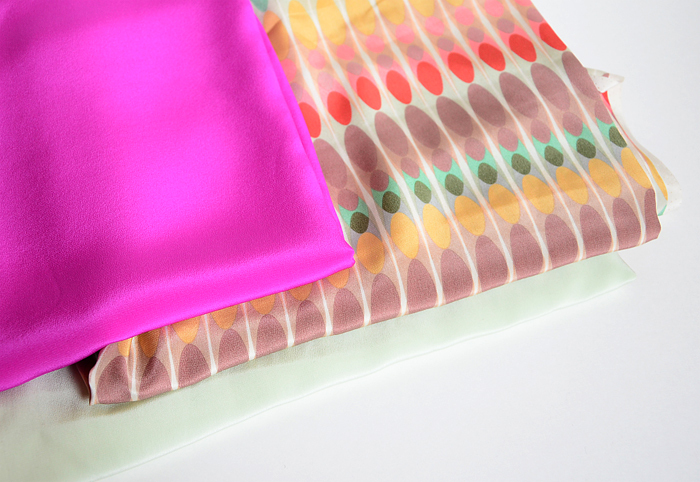 Mood also has some wonderful silk rayon linings...keep an eye out for sales! 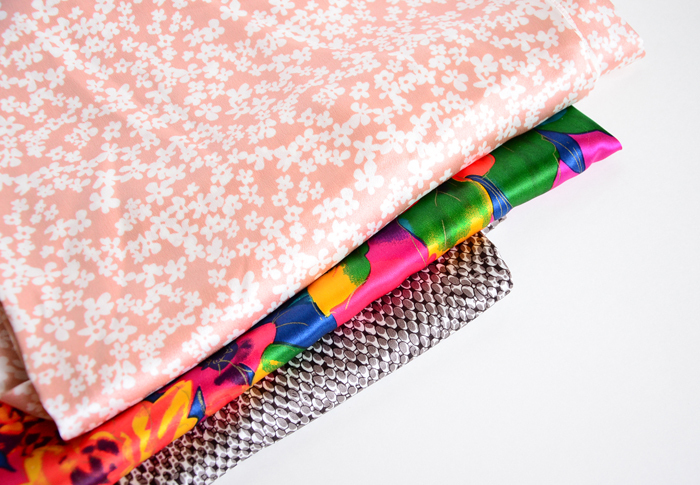 And Dharma Trading has bulk silk habotai, lovely for lining! Such a great resource! Thank you! @Caroline Cote - I'm a big advocate that you can wash or hand wash most fabrics yourself. All these fabrics, I wash myself. I rarely dry clean but if I do, its more to maintain structure - like on a jacket - than anything else. Definitely a post topic! Thank you! @MarrieB - I wash mine as well! I used to hang it dry, but found that it doesn't watermark nearly as bad if I give it a dry in the dryer. Granted I only dry in the dryer that first prewash time around and then from there, I wash and hang the garment to dry. @Michelle - I think I've seen this at Joann. It is 100% polyester and most times, I often look for something more breathable. Polyester does not breathe and it can feel itchy against the skin even though it doesn't to your hand. Definitely try it though and see what you think! @karen - You have a very valid point! I added a resource for finding 100% cotton batiste online. Lining a garment really does add to its overall life and it gives it structure. I think of a Chanel cardigan jacket where the silk lining is quilted to a very loosely woven boucle or similar fabric. This process gives the jacket structure and a longer life. Thanks so much for reminding me! @Serac - Ohhhh! Haven't tried silk taffeta as a lining, but will in the future. I couldn't agree more about purchasing a similar garment from the store. I've never seen anything (in my price range) lined in silk, and doing it myself is so luxurious and wonderful, why not? @megannielsen - Oh crepe de chine, how I love thee! Let me count the ways! It is a wonderful and beautiful fabric and I love that you can usually get it in 54" width. @Bella - Oh! Silk/rayon is lovely. I'll definitely update my list to include Dharma too. @Janee - Just updated, thank you! Great post, thank you! I generally use bemberg; my local Fabricland carries a good range of colours, and it is _so_ much nicer than the crunchy acetate stuff! I've recently picked up some gorgeous silk cotton; fine, light, smooth although not as slippery as silk charmeuse, and such pretty colours! Some of it is destined to become a full bias-cut slip, and some I'm going to use to line a fitted dress; I'm hoping it will do the job nicely. Thanks for this great post. Its been bookmarked. I have envy over some of your fabrics here. Very nice post on lining fabrics. Great post, I was just looking for lining for a knit dress. I don't often sew with knits, but fell in love with a particular shade of red. Since this dress may be for a high school reunion, I want it to fit well, no lumps or bumps. I'll check swim and dance wear fabrics for linings. A little lining support may provide a boost of confidence to walk in wearing a red dress. A fabric that I have had some success with as a lining is voile. I have used both cotton and silk and cotton blend. I initially used a silk cotton blend as an interlining for wool crepe suite last year to keep it drapey and some left over with which I experimented. Since I live in a hot humid climate I need linings that breathe. It is easy to work with also and is easily dyed if you need it to match. This post is exactly what I needed to read. I'm about to make the Lady Grey coat and I'm looking for the right lining. The silk satin ones from Mood are so gorgeous but at 40.00 per yard, not quite right for me. This is so helpful! Thank you so much. Any chance you could share some on underlinings? Can you talk a little about washing these types of linings? Thanks so much for this article!!! I was just thinking about making a jacket and I wanted a very luxurious lining for it. Your post was EXACTLY what I needed. What a fantastic post - so eye opening for me! Linings are what make my favorite clothes feel so wonderful to wear. Thank you for such an enlightening article, you and all those who commented have educated me as well.